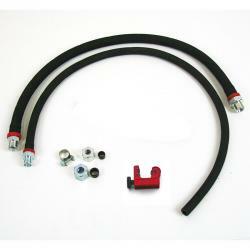 This fuel line kit will replace the high pressure feed and return lines going to the fuel rail. NOTE: There are two types of fuel rails on early cars with no exact relation to manufacture date. Cars requiring the EARLY 1 kit will have a metal S shaped line that connects the feed line directly the the fuel pressure damper on the rail. 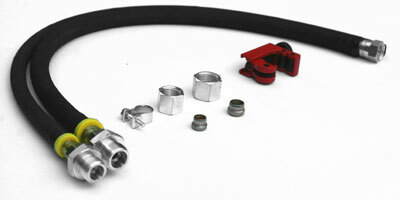 EARLY 2 rails will have a short metal line coming directly out of the rear of the fuel rail that the feed line connects to.